The orthopaedic ward of the Korle-Bu Teaching Hospital (KBTH) which serves as clinical grounds for nursing female orthopaedic and trauma patients has been re-opened after refurbishment. The GH¢450,000 refurbished orthopaedic ward, undertaken with support from the Ghana Commercial Bank (GCB), is well-fitted with modern facilities and will be used as a learning centre for medical students and post-graduate doctors. Handing over the facility to the hospital management, Anselm Ransford Sowah, Managing Director of GCB Bank Limited, stated that their support is in recognition of the importance of excellent healthcare delivery to national development and the roles being played by KBTH in providing medical service to the society. “We, in GCB, were particularly moved by the medical students who brought this urgent need for the renovation of this ward to the attention of the bank,” he said. Mr Sowah further highlighted that the gesture was in fulfillment of the bank's social responsibility, commending all who worked to ensure the revamping of the ward. “I am very excited that together with Korle-Bu, we have been able to improve conditions at this unique facility specifically for women,” he said. The Chief Executive Officer (CEO) of KBTH, Dr Felix Anyah, commended Dr Frederick Kwarteng, Head of Accident Centre, and his team for virtually transforming a 95-year-old building into a benchmark comparable anywhere in the world. “I wish to say that KBTH staff are hardworking, innovative and love their patients and their work,” he said. Dr Anyah pointed out that the refurbishment of the unit is an essential component of the hospital's drive to reposition it as a hub of medical tourism in West Africa and the world. He said the new centre brings huge benefits to the health facility in terms of attracting international patients from West Africa and countries like the United Kingdom (UK). “The total cost of hip and knee operations in UK is between £7,600 and £16,764, however, the total cost of hip and knee operations in Ghana is 10 percent of the cost in UK,” he added. 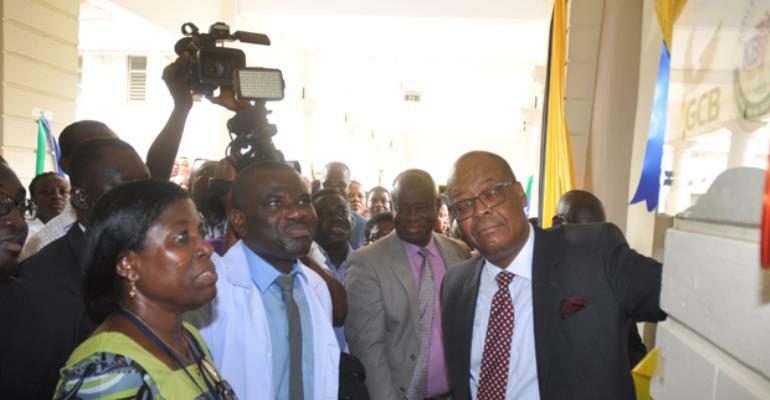 Dr Kwarteng expressed delight that the newly-refurbished Ward N is open for operations to begin. He said the orthopaedic centre cares for about 100 patients on a daily basis, adding that the new ward will go a long way in improving the quality of care.